Stores in the Netherlands, Belgium and Germany withdraw millions of eggs that contain toxic fipronil – a substance that is used to liquidate lice, ticks and fleas. Two brands of insecticides, some batches of which contained the active fipronil component with high toxic potential are not only on the markets in Belgium and Netherlands but also in France, Italy, Germany and Poland. The Netherlands Food Association has closed more than 180 farms. NVWA, the food safety surveillance authority, is investigating 20 percent of all Dutch poultry farms, which means that 80 percent of eggs on the market are safe. The authority has emphasised that only a limited number of types of eggs identifiable according to particular numbers present a risk. The stores in Belgium and Netherlands started to withdraw eggs from the market on Monday, now Germany announced a similar action. 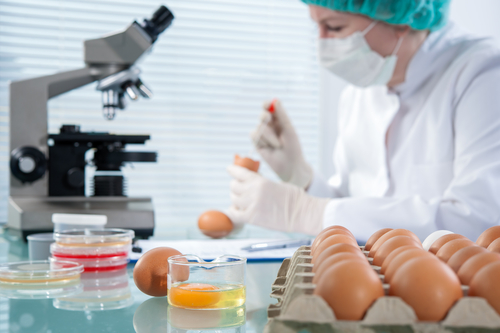 Veterinary inspectors in the Czech Republic will start random inspections of eggs and poultry meat from six countries in farms where the hazardous insecticide could be applied. According to the Veterinary Administration, last eggs from Belgium were on the Czech market in April and eggs from the Netherlands in May. Chicken meat from Belgium was last in the Czech Republic in June. “There is chicken meat from the Netherlands here but mainly it is meat from Brazil”, Petr Majer of the State Veterinary Administration added.